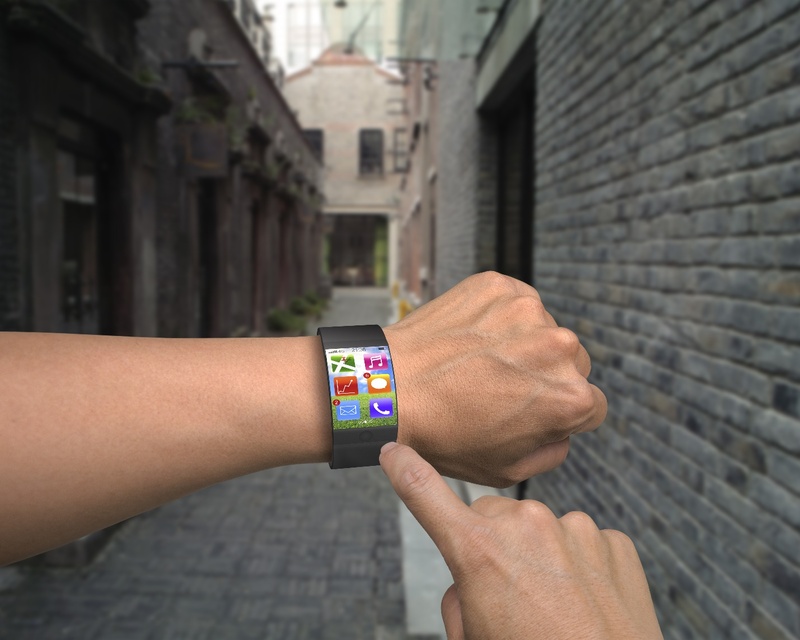 So you want to develop a new electronic hardware product? Let me start with the good news – it’s possible. You can develop a hardware product regardless of your technical level and you don’t necessarily need to be an engineer to succeed (although it certainly helps). It’s easier now in 2019 than ever before to develop a new electronic product. Whether you’re an entrepreneur, startup, maker, inventor, or small business this guide will help you understand the new product development process. NOTE: This is a very long article so here's a free PDF version of it for easy reading.Or if preferred, here's a handy PDF cheatsheet of all the steps discussed in this article. I won’t lie to you, though. It’s an incredibly long, difficult journey to launch a new hardware product. 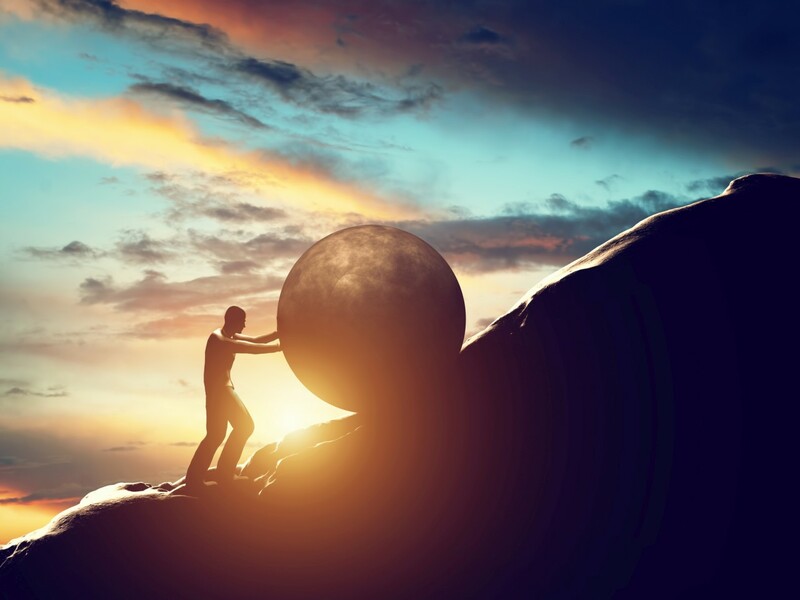 Although hardware is known for being hard, it’s also easier now than ever for individuals and small teams to develop new hardware products. However, if you are looking for an easy, quick way to make money then I suggest you stop reading right now because bringing a new hardware product to market is far from easy or quick. In this guide I’ll first discuss the product development strategies for both technical creators and non-technical entrepreneurs wishing to create a new electronic hardware product. Then, we’ll move on to developing the electronics followed by the development of the plastic enclosure. There are essentially five options for entrepreneurs and startups to develop a new hardware product. However, many times the best overall strategy is a combination of these five development strategies. This is rarely a viable strategy completely by itself. Very few people have all of the skills needed to develop a market-ready electronic product completely on their own. Even if you happen to be an engineer, are you an expert in electronics design, programming, 3D modeling, injection molding, and manufacturing? Probably not. Also most of these specialties are made up of numerous sub-specialties. That being said, if you have the necessary skills, the farther you take the development of your product yourself the more money you will save and the better off you will be in the long run. For example, I brought my own hardware product to market about 6 years ago. The product was more complex mechanically than it was electrically. I’m an electronics engineer by training and not a mechanical engineer, so I initially hired a couple freelance mechanical engineers. However, I quickly became frustrated with how slow things progressed. After all, I was thinking about my product almost every waking hour! I was obsessed with getting my product developed and on the market as fast as possible. But the engineers I hired were juggling it with lots of other projects and not giving my project the attention I felt it deserved. So I decided to learn everything needed to do the mechanical design myself. No one was more motivated than myself to get my product developed and on the market. Ultimately, I was able to complete the mechanical design much faster (and for much less money). The moral of the story is to do as much of the development as your skills allow, but also don’t take that too far. If your sub-expert skills cause you to develop a less than optimal product then that is a big mistake. Also, any new skills you must learn will take time and that may ultimately lengthen the time to market. Always bring in experts to fill in any gaps in your expertise. 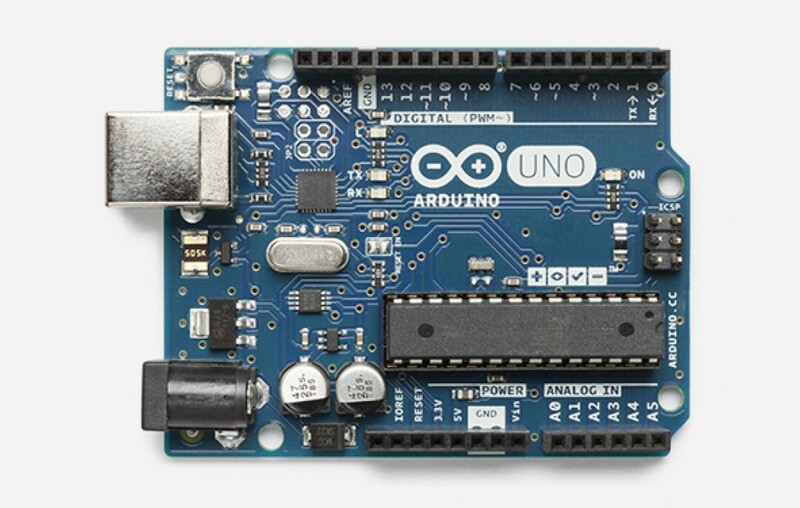 Some of my favorite websites for learning about electronics development are Hackster.io, Build Electronic Circuits, Bald Engineer, Adafruit, Sparkfun, Make Magazine, and All About Circuits. Be sure to check out the YouTube channel called AddOhms which has some absolutely excellent introductory videos for learning electronics. If you are a non-technical founder then you would definitely be wise to bring on a technical co-founder. One of the founders on your startup team needs to at the very least understand enough about product development to manage the process. If you plan to eventually seek outside funding from professional investors then you definitely need a team of founders. Professional startup investors know that a team of founders is much more likely to succeed than a solo founder. The ideal co-founder team for most hardware startups is a hardware engineer, a programmer, and a marketer. Bringing on co-founders may sound like the perfect solution to your problems, but there are some serious downsides as well. 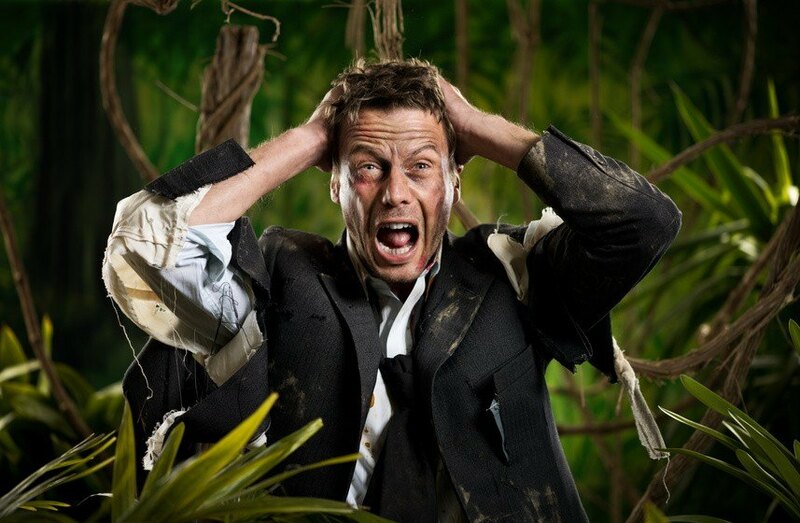 First of all, finding co-founders is difficult and will likely take a tremendous amount of time. 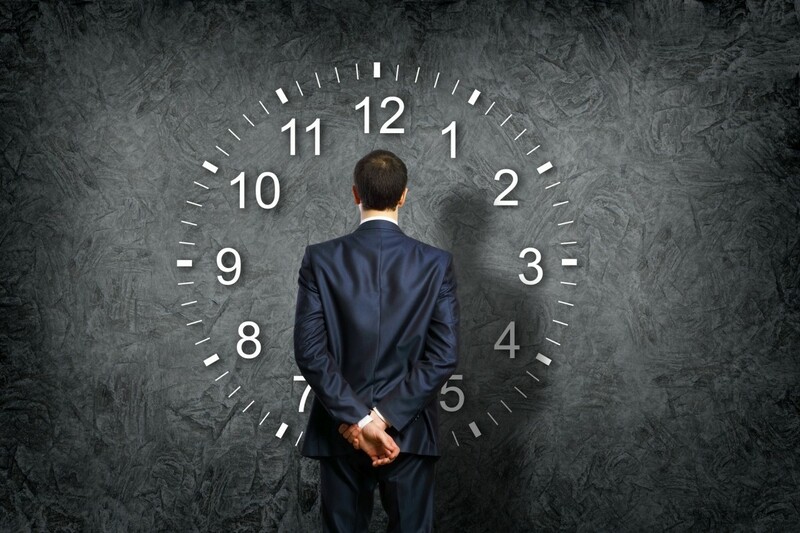 That is valuable time that isn’t being spent developing your product. Finding co-founders is not something you should rush and you need to take time to find the right match. Not only do they need to compliment your skills, but you also really need to like them personally. You are essentially going to be married to them for at least a few years so be sure you get along well. The major downside of bringing on co-founders is they reduce your equity in the company. All founders of a company should really have equal equity in the company. So if you are going solo right now, be prepared to give any co-founder half of your company. 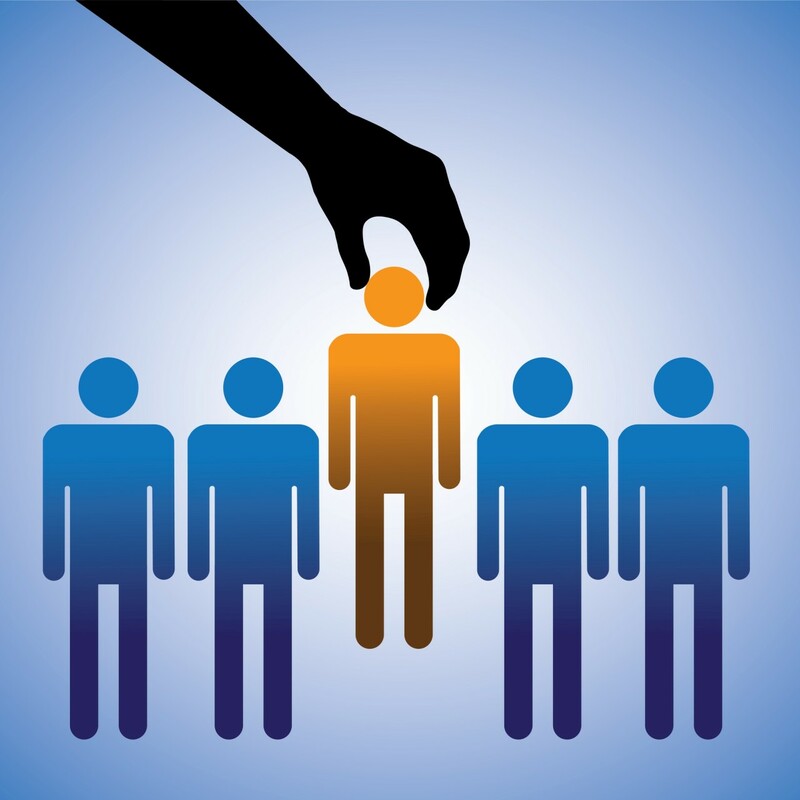 One of the best ways to fill in any gaps in your teams technical ability is by outsourcing to freelance engineers. Just keep in mind that most products will require multiple engineers of different specialties so you will need to manage the various engineers yourself. Ultimately, someone on the founding team will need to serve as the project manager. Figure 1: Developing a new electronic product usually requires a team of engineers. Make sure you find an electrical engineer that has experience designing the type of electronics required by your product. 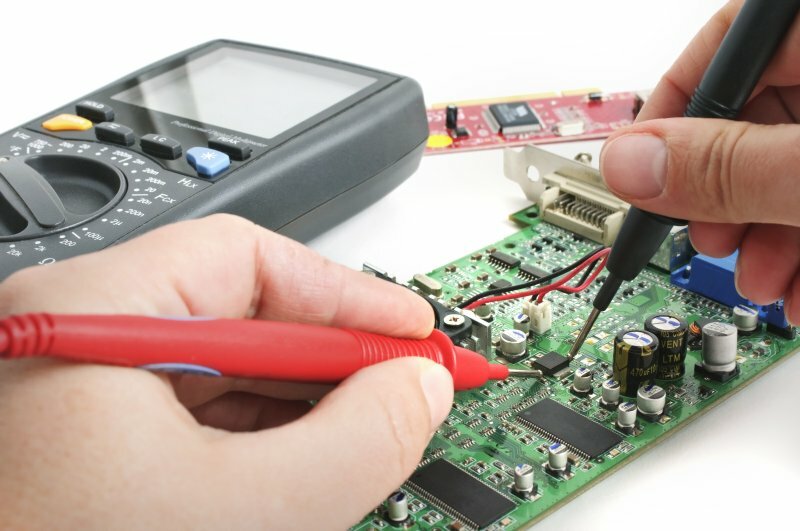 Electrical engineering is a huge field of study and many engineers lack any experience with circuit design. For the 3D designer make sure you find someone that has experience with injection molding technology, otherwise you’re likely to end up with a product that can be prototyped but not mass manufactured. The best known product design firms such as Frog, IDEO, Fuse Project, etc. can generate fantastic product designs, but they’re insanely expensive. Startups should avoid expensive design firms at all costs. 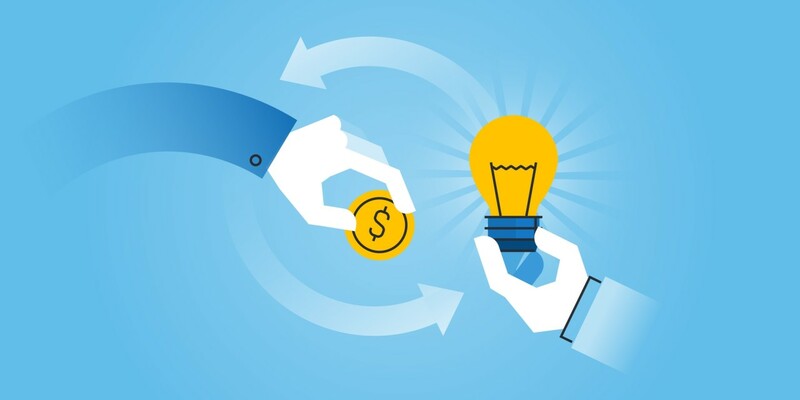 Top design firms can charge $500k+ to fully develop your new product. Even if you can afford to hire an expensive product development firm, don’t do it. 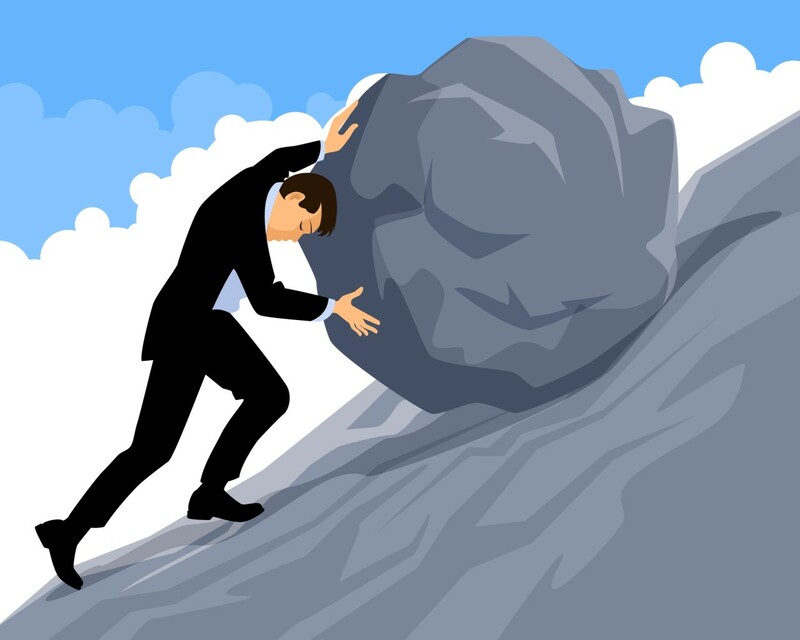 Not only are you likely to never recuperate that money, you also don’t want to make the mistake of founding a hardware startup that isn’t heavily involved in the actual product development. One avenue to pursue is partnering with an overseas manufacturer that already makes products that are similar to your product. Large manufacturers will have their own engineering and development departments to work on their own products. If you can find a manufacturer already making something similar to your own product, they may be able to do everything for you – development, engineering, prototyping, mold production and manufacturing. This strategy can lower your upfront development costs. Manufacturers will, however, amortize these costs, which means adding an additional cost per product for the first production runs. 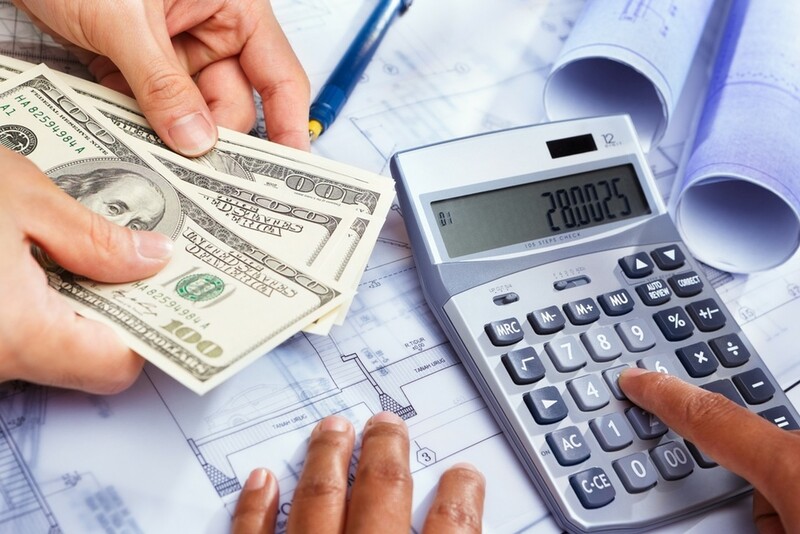 This essentially works like an interest free loan, allowing you to slowly pay back your development costs to the manufacturer. Sounds great and easy, so what’s the catch? The main risk to consider with this strategy is you are putting everything related to your product into a single company. They will surely want an exclusive manufacturing agreement, at least until their costs have been recovered. This means you can’t migrate to a cheaper manufacturing option when your production volume increases. Also be warned that many manufacturers may want part, or all, of the intellectual rights to your product. 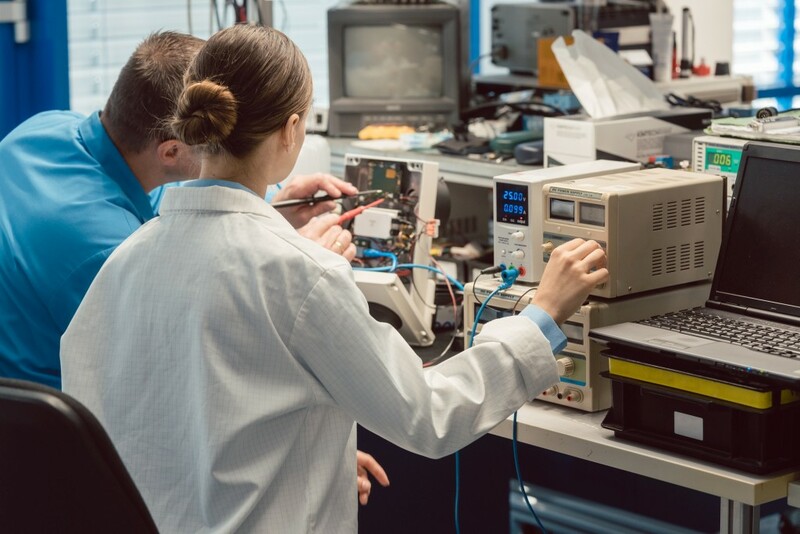 Development of the electronics for your product can be broken down into seven steps: preliminary production design, schematic diagram, PCB layout, final BOM, prototype, test and program, and finally certification. When developing a new electronic hardware product you should first start with a preliminary production design. This is not to be confused with a Proof-of-Concept (POC) prototype. 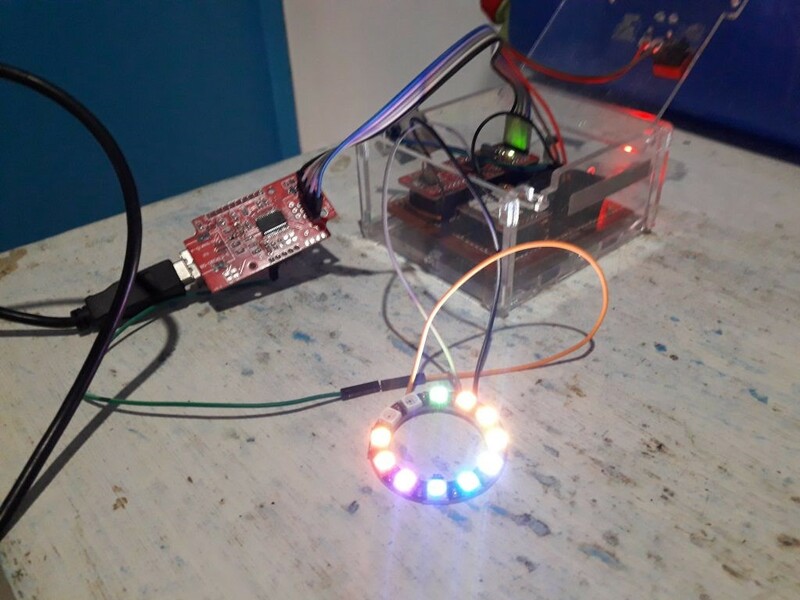 A POC prototype is usually built using a development kit like an Arduino. They can sometimes be useful to prove that your product concept solves the desired problem. But a POC prototype is far from being a production design. Rarely can you go to market with an Arduino embedded in your product. 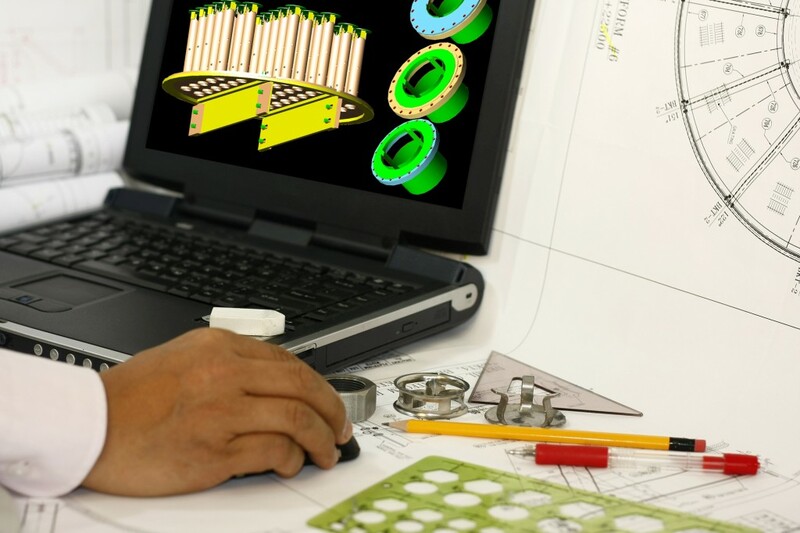 A preliminary production design focuses on your product’s production components, cost, profit margin, performance, features, development feasibility and manufacturability. You can use a preliminary production design to produce estimates for every cost your product will need. It is important to accurately know the costs to develop, prototype, program, certify, scale, and manufacture the product. A preliminary production design will answer the following pertinent questions. Is my product feasible to develop? Can I afford to develop this product? How long will it take me to develop my product? Can I mass manufacture the product? Can I sell it at a profit? 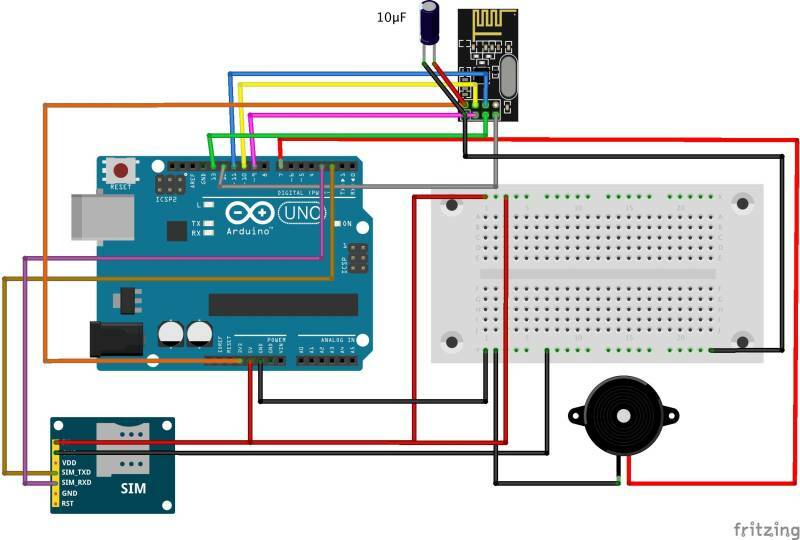 ​Many entrepreneurs make the mistake of skipping the preliminary production design step, and instead jump right into designing the schematic circuit diagram. By doing so, you may eventually discover you’ve spent all this effort and hard-earned money on a product that can’t be affordably developed, manufactured, or most importantly, sold at a profit. When creating the preliminary production design you should start by defining the system-level block diagram. This diagram specifies each electronic function and how all of the functional components interconnect. Figure 2 – A block diagram specifies each function and the system-level connectivity. 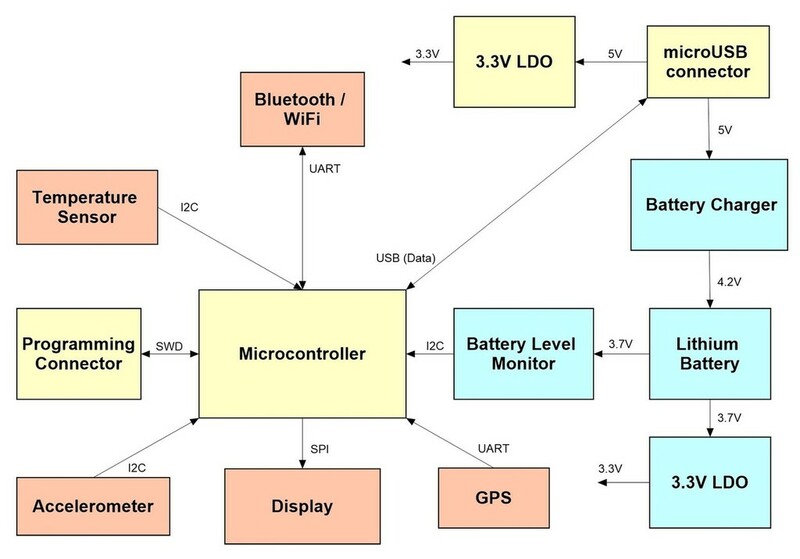 Most products require a microcontroller or a microprocessor with various components (displays, sensors, memory, etc.) interfacing with the microcontroller via various serial ports. By creating a system block diagram you can easily identify the type and number of serial ports required. 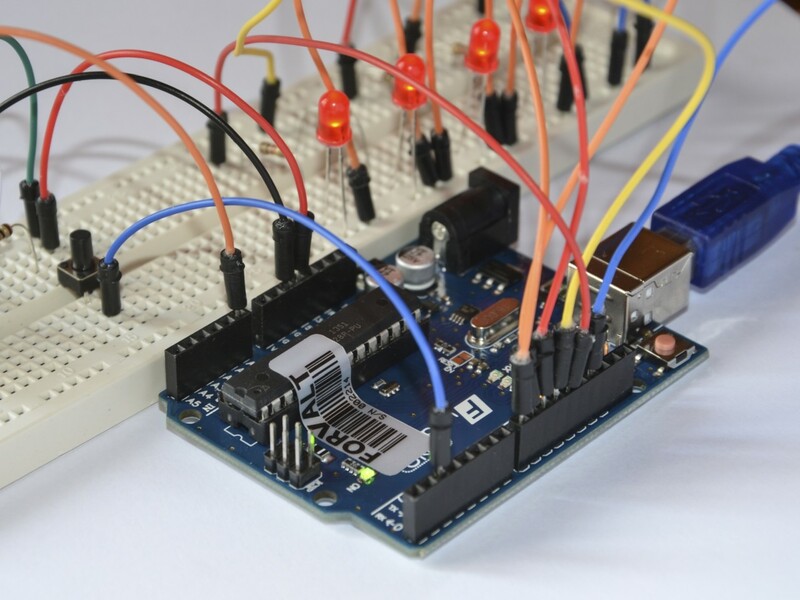 This is an essential first step for selecting the correct microcontroller for your product. Next, you must select the various production components: microchips, sensors, displays, and connectors based upon the desired functions and target retail price of your product. This will allow you to then create a preliminary Bill of Materials (BOM). Figure 3: Selection of the production components is a critical first development step. In the U.S., Newark, Digikey, Arrow, Mouser, and Future are the most popular suppliers of electronic components. You can purchase most electronic components in ones (for prototyping and initial testing) or up to thousands (for low-volume manufacturing). Once you reach higher production volumes you will save money by purchasing some components directly from the manufacturer. You should now estimate the production cost (or Cost of Goods Sold – COGS) for your product. It’s critical to know as soon as possible how much it will cost to manufacture your product. 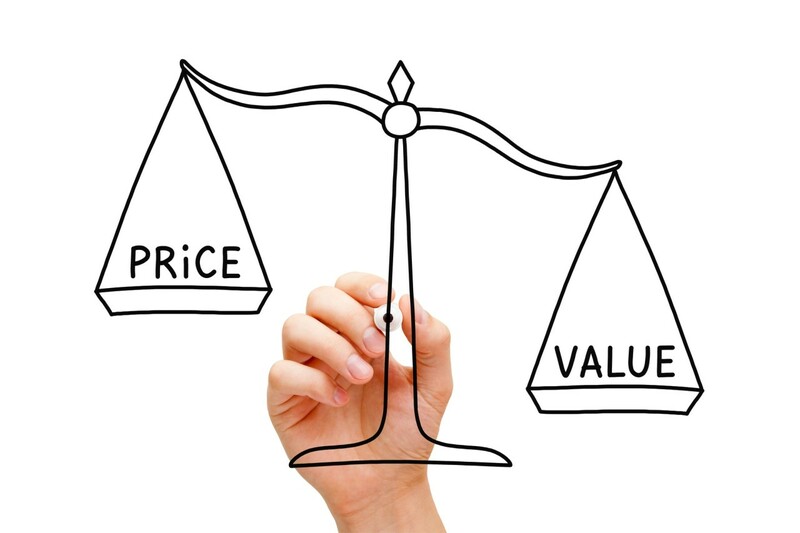 You need to know your product’s manufacturing unit cost in order to determine the best sales price, the cost of inventory, and most importantly how much profit you can make. 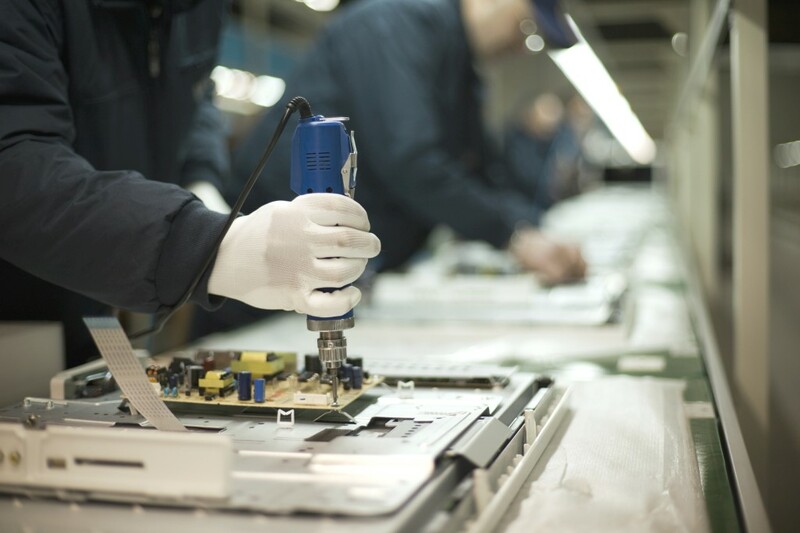 Figure 4 – It’s critical to estimate your production cost as early as possible. The production components that you’ve selected will of course have a big impact on the manufacturing cost. 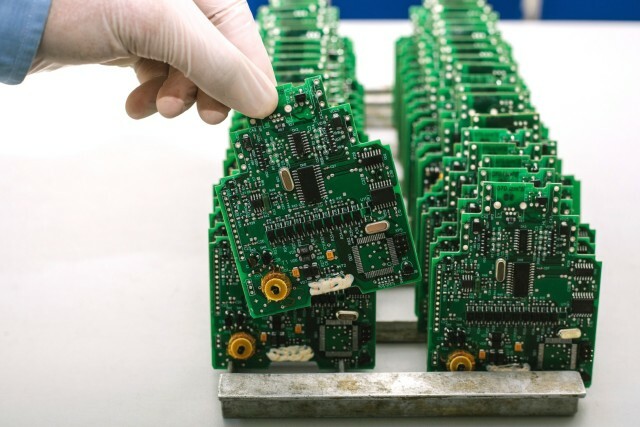 But to get an accurate manufacturing cost estimate you also must include the cost of the PCB assembly, final product assembly, product testing, retail packaging, scrap rate, returns, logistics, duties, and warehousing. Now it’s time to design the schematic circuit diagram based upon the system block diagram you created in step 1. Figure 5: Example of a schematic circuit diagram. The schematic diagram shows how every component, from microchips to resistors, connects together. Whereas a system block diagram is mostly focused on the higher level product functionality, a schematic diagram is all about the little details. 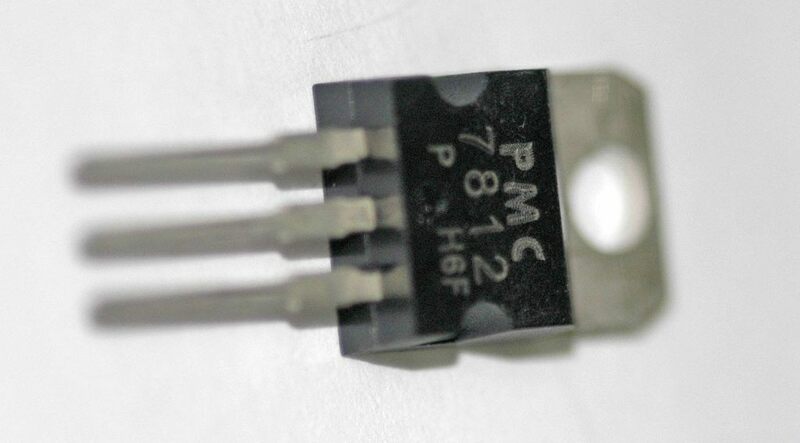 Something as simple as a mis-numbered pin on a component in a schematic can cause a complete lack of functionality. In most cases you’ll need a separate sub-circuit for each block of your system block diagram. These various sub-circuits will then be connected together to form the full schematic circuit diagram. Special electronics design software is used to create the schematic diagram and to help ensure it is free of mistakes. I recommend using a package called DipTrace which is affordable, powerful, and easy to use. 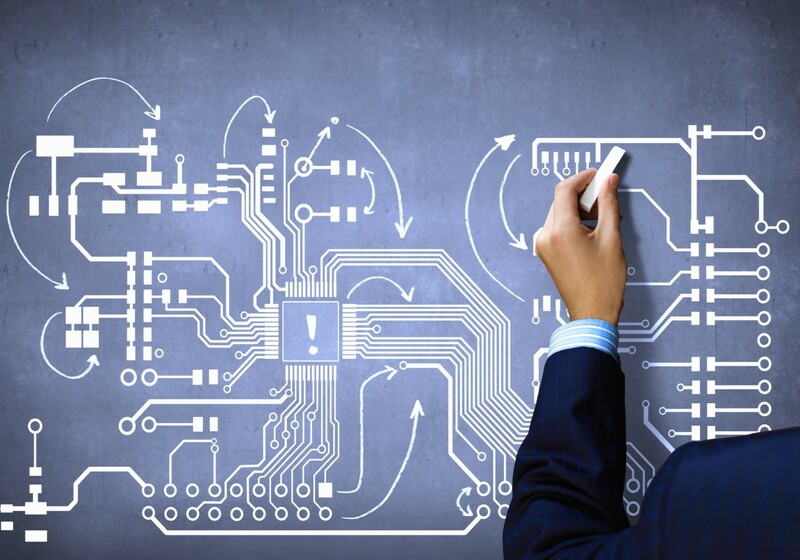 Once the schematic is done you will now design the Printed Circuit Board (PCB). 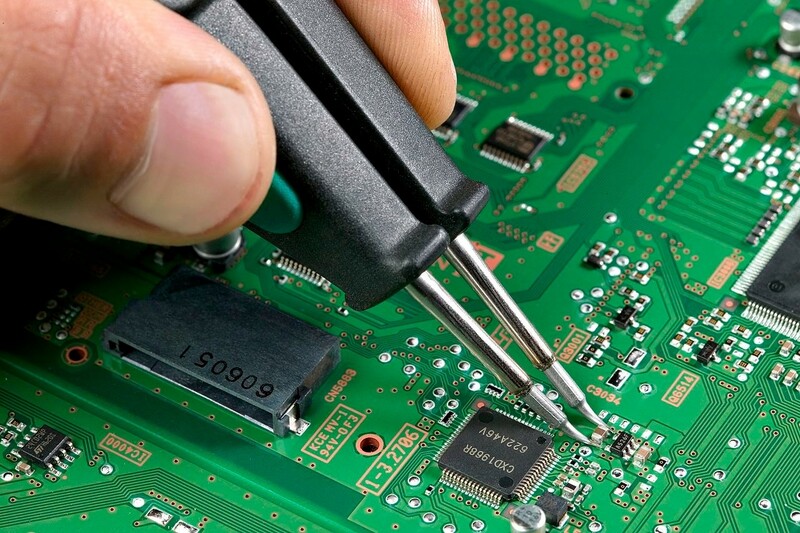 The PCB is the physical board that holds and connects all of the electronic components. Development of the system block diagram and schematic circuit have been mostly conceptual in nature. A PCB design though is very real world. Figure 6: The schematic circuit diagram must now be turned into a PCB layout design. The PCB is designed in the same software that created the schematic diagram. 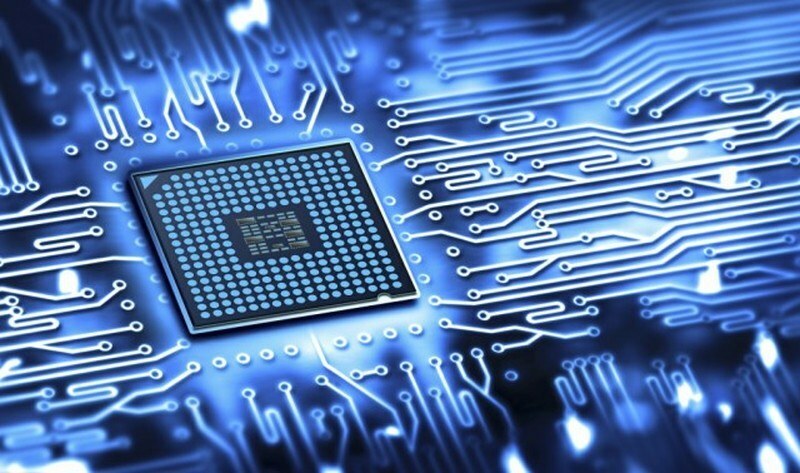 The software will have various verification tools to ensure the PCB layout meets the design rules for the PCB process used, and that the PCB matches the schematic. In general, the smaller the product, and the tighter the components are packed together, the longer it will take to create the PCB layout. If your product routes large amounts of power, or offers wireless connectivity, then PCB layout is even more critical and time consuming. For most PCB designs the most critical parts are the power routing, high-speed signals (crystal clocks, address/data lines, etc.) and any wireless circuits. Although you should have already created a preliminary BOM as part of your preliminary production design, it’s now time for the full production BOM. 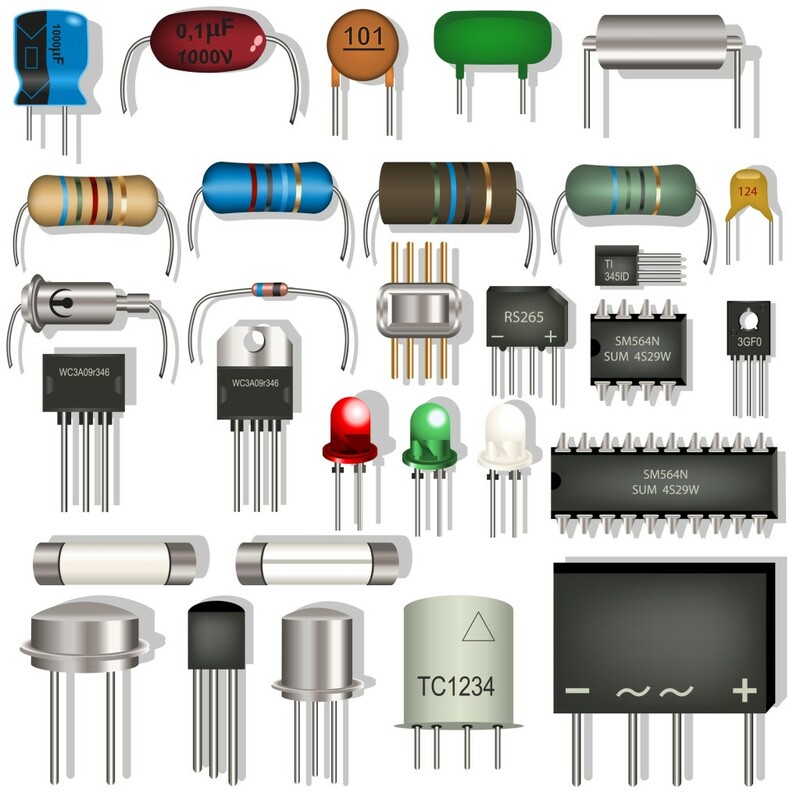 The main difference between the two is the numerous low-cost components like resistors and capacitors. These components usually only cost a penny or two, so I don’t list them out separately in the preliminary BOM. But to actually manufacture the PCB you need a complete BOM with every component listed. This BOM is usually created automatically by the schematic design software. The BOM lists the part numbers, quantities, and all component specifications. Creating electronic prototypes is a two-step process. The first step produces the bare, printed circuit boards. Your circuit design software will allow you to output the PCB layout in a format called Gerber with one file for each PCB layer. These Gerber files can be sent to a prototype shop for small volume runs. The same files can also be provided to a larger manufacturer for high volume production. Figure 8: Example of a fully assembled Printed Circuit Board (PCB). The second step is having all of the electronic components soldered onto the board. From your design software you’ll be able to output a file that shows the exact coordinates of every component placed on the board. 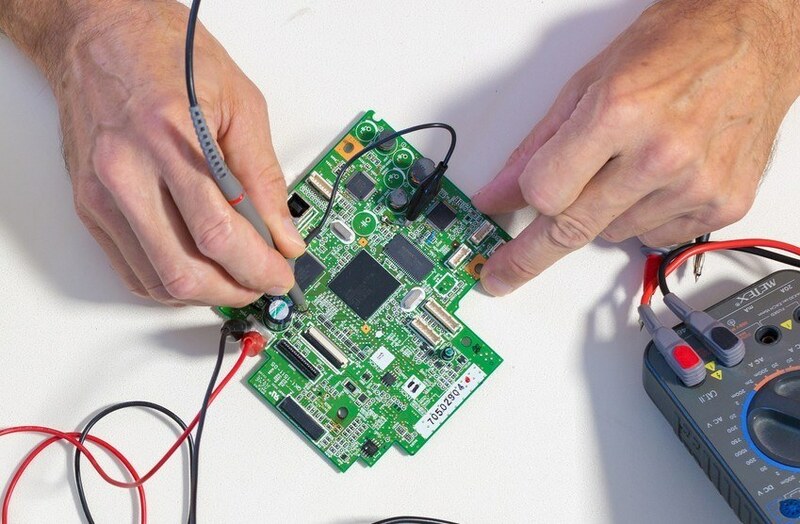 This allows the assembly shop to fully automate the soldering of every component on your PCB. Your cheapest option will be to produce your PCB prototypes in China. Although it’s usually best if you can do your prototyping closer to home so as to reduce shipping delays, for many entrepreneurs it’s more important to minimize costs. For producing your prototype boards in China I highly recommend Seeed Studio. They offer fantastic pricing on quantities from 5 up to 8,000 boards. They also offer 3D printing services making them a one-stop shop. Other Chinese PCB prototype manufacturers with good reputations include Gold Phoenix PCB and Bittele Electronics. In the U.S. I recommend Sunstone Circuits, Screaming Circuits, and San Francisco Circuits which I’ve used extensively to prototype my own designs. It takes 1-2 weeks to get assembled boards, unless you pay for rush service which I rarely recommend. Now it’s time to evaluate the prototype of the electronics. Keep in mind that your first prototype will rarely work perfectly. You will most likely go through several iterations before you finalize the design. 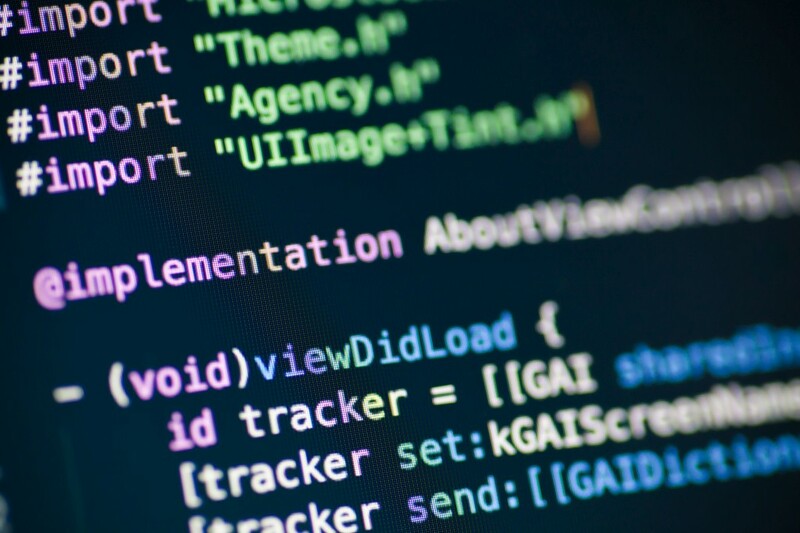 This is when you will identify, debug and fix any issues with your prototype. Figure 9 – Most designs take multiple prototype iterations to get ready for market. This can be a difficult stage to forecast in both terms of cost and time. Any bugs you find are of course unexpected, so it takes time to figure out the source of the bug and how best to fix it. Evaluation and testing are usually done in parallel with programming the microcontroller. Before you begin programming though you’ll want to at least do some basic testing to ensure the board doesn’t have major issues. Figure 10: Most new electronic products require programming to function (called firmware). 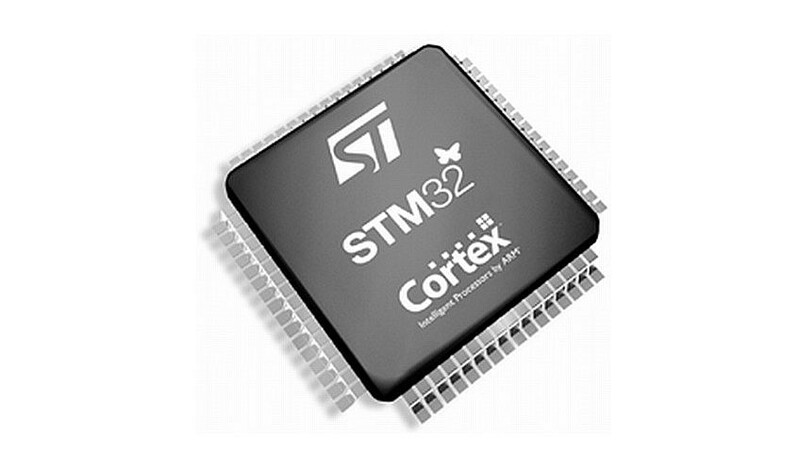 Nearly all modern electronic products include a microchip called a Microcontroller Unit (MCU) that acts as the “brains” for the product. A microcontroller is very similar to a microprocessor found in a computer or smartphone. A microprocessor excels at moving large amounts of data quickly, while a microcontroller excels at interfacing and controlling devices like switches, sensors, displays, motors, etc. A microcontroller is pretty much a simplified microprocessor. The microcontroller needs to be programmed to perform the desired functionality. Microcontrollers are almost always programmed in the commonly used computer language called ‘C’. The program, called firmware, is stored in permanent but reprogrammable memory usually internal to the microcontroller chip. All electronic products sold must have various types of certification. The certifications required vary depending on what country the product will be sold in. We’ll cover certifications required in the USA, Canada, and the European Union. 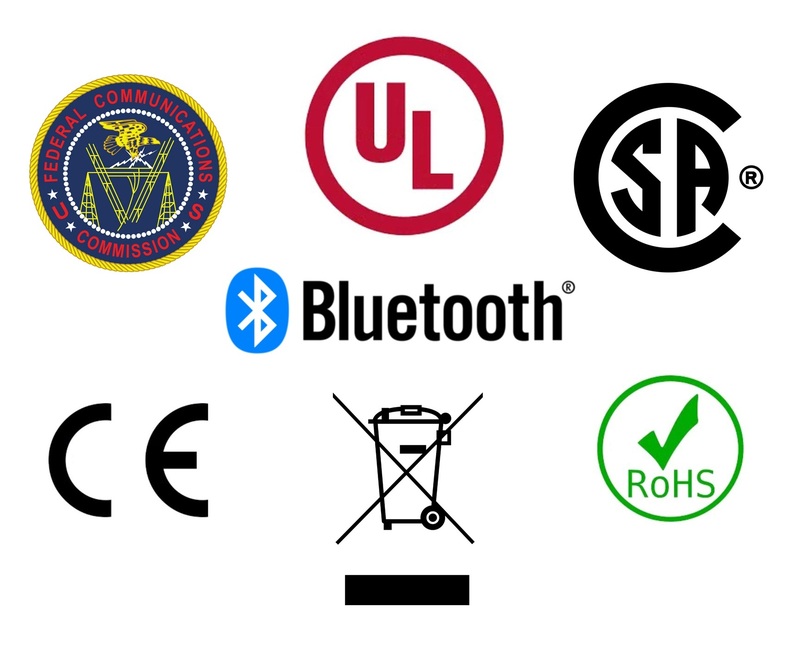 Figure 11 – Nearly all electrical products require some levels of certification. 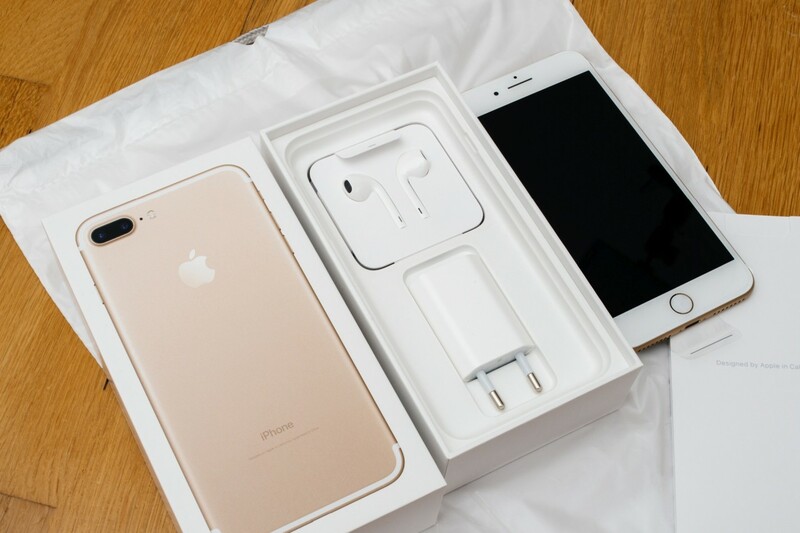 FCC certification is necessary for all electronic products sold in the United States. All electronic products emit some amount of electromagnetic radiation (i.e. 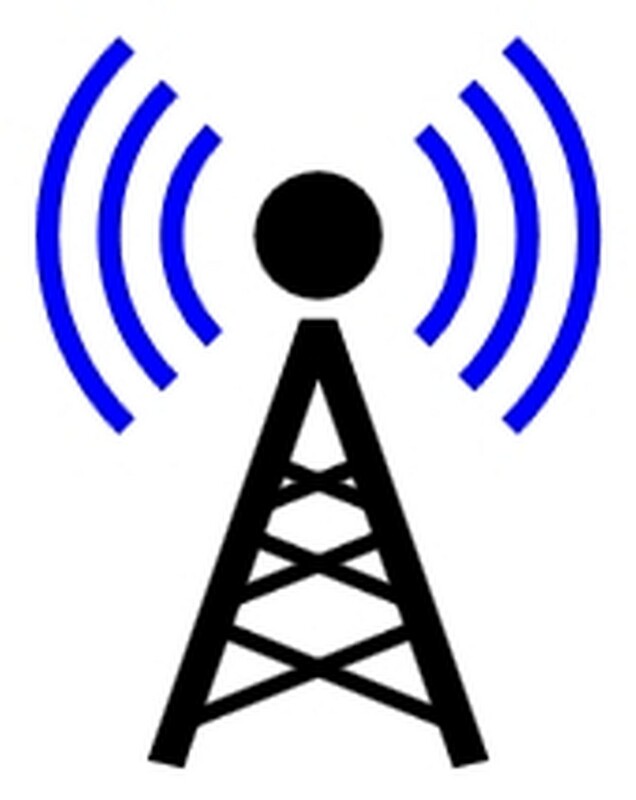 radio waves) so the FCC wants to make sure that products don’t interfere with wireless communication. There are two categories of FCC certification. 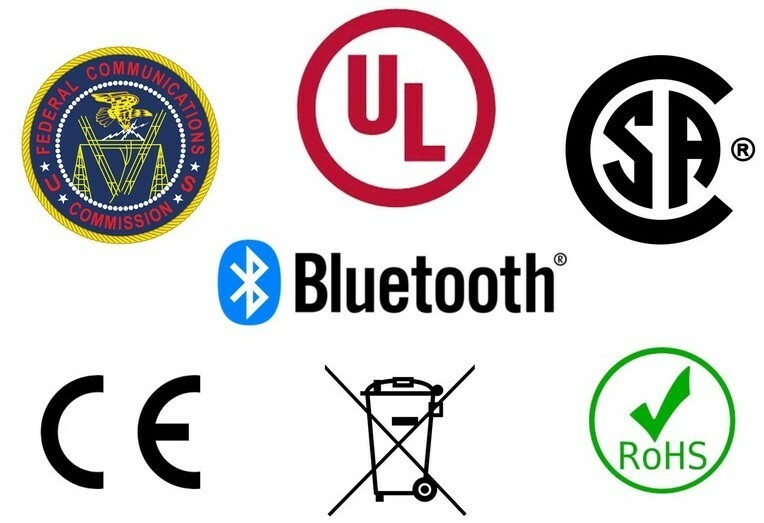 Which type is required for your product depends on whether your product features wireless communication capabilities such as Bluetooth, WiFi, ZigBee, or other wireless protocols. The FCC classifies products with wireless communication functionality as intentional radiators. Products that don’t intentionally emit radio waves are classified as non-intentional radiators. Intentional radiator certification will cost you roughly 10 times as much as non-intentional radiator certification. Consider initially using electronic modules for any of your product’s wireless functions. This allows you to get by with only non-intentional radiator certification, which will save you at least $10k. UL or CSA certification is necessary for all electrical products sold in the United States or Canada that plug into an AC outlet. Battery-only products that don’t plug into an AC outlet do not require UL/CSA certification. However, most major retailers and/or product liability insurance companies will require that your product be UL or CSA certified. CE certification is needed for the majority of electronic products sold in the European Union (EU). 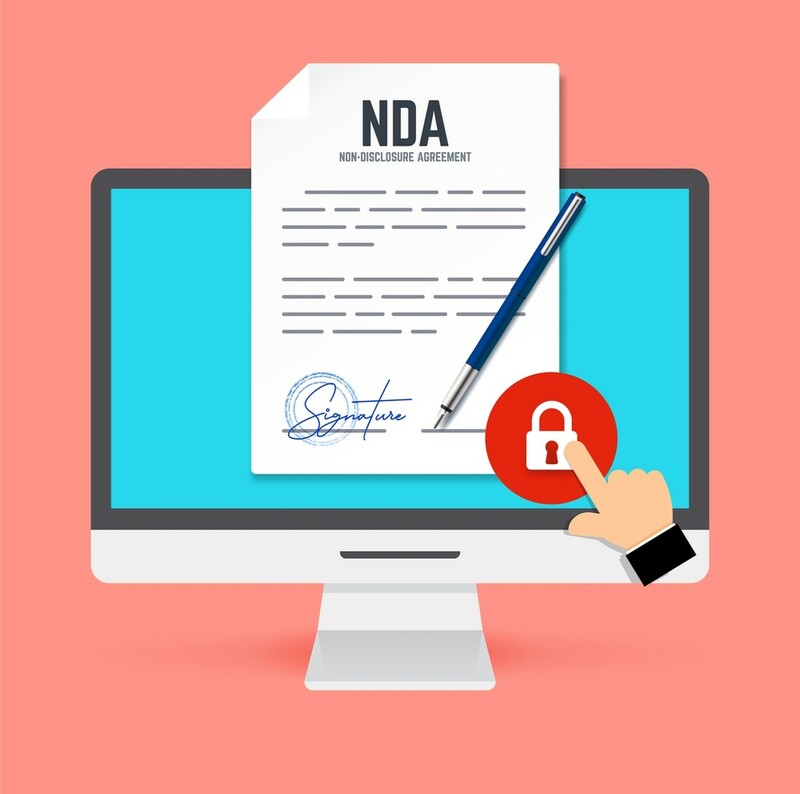 It is similar to the FCC and UL certifications required in the United States. RoHS certification ensures that a product is lead-free. RoHS certification is required for electrical products sold in the European Union (EU) or the state of California. Since California’s economy is so significant, the majority of products sold in the U.S. are RoHS certified. Rechargeable lithium-ion/polymer batteries have some serious safety concerns. If short-circuited or overcharged they can even burst into flames. Do you remember the double recall on the Samsung Galaxy Note 7 because of this issue? Or the stories about various hoverboards bursting into flames? Because of these safety concerns rechargeable lithium batteries must be certified. For most products I recommend initially using off-the-shelf batteries that already have these certifications. However, this will limit your choices and most lithium batteries have not been certified. 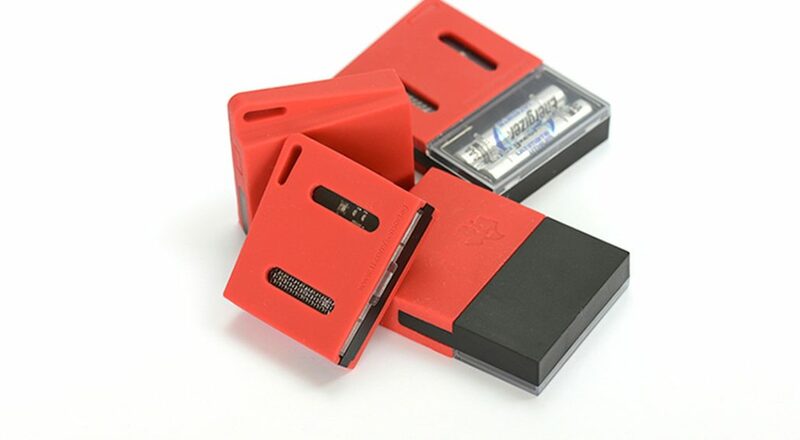 This is primarily due to the fact that most hardware companies choose to have a battery custom designed to take advantage of all of the space available in a product. For this reason most battery manufacturers don’t bother with getting their off-the-shelf batteries certified. Now we’ll cover the development and prototyping of any custom plastic pieces. For most products this includes at least the enclosure that holds everything together. Development of custom shaped plastic or metal pieces will require a 3D modeling expert, or better yet an industrial designer. Figure 12: Development of a custom enclosure is necessary for most new products. If appearance and ergonomics are critical for your product, then you’ll want to hire an industrial designer. For example, industrial designers are the engineers who make portable devices like an iPhone look so cool and sleek. If appearance isn’t critical for your product then you can probably get by with hiring a 3D modeler, and they are usually significantly cheaper than an industrial designer. The first step in developing your product’s exterior is the creation of a 3D computer model. The two big software packages used for creating 3D models are Solidworks and PTC Creo (formerly called Pro/Engineer). However, Autodesk now offers a cloud-based 3D modeling tool that is completely free for students, hobbyists, and startups. It’s called Fusion 360. If you want to do your own 3D modeling, and you’re not tied to either Solidworks or PTC Creo, then definitely consider Fusion 360. Figure 13: Creating a 3D model is an essential first step to product design. Once your industrial or 3D modeling designer has completed the 3D model you can then turn it into physical prototypes. The 3D model can also be used for marketing purposes, especially before you have functional prototypes available. If you plan to use your 3D model for marketing purposes you’ll want to have a photo realistic version of the model created. Both Solidworks and PTC Creo have photo realistic modules available. You can also get a photo realistic, 3D animation of your product done. Keep in mind you may need to hire a separate designer that specializes in animation and making 3D models look realistic. The biggest risk when it comes to developing the 3D model for your enclosure is that you end up with a design that can be prototyped but not manufactured in volume. Ultimately, your enclosure will be produced by a method called high-pressure injection molding (see step 4 below for more details). Developing a part for production using injection molding can be quite complex with many rules to follow. On the other hand, just about anything can be prototyped via 3D printing. So be sure to only hire someone that fully understands all of the complexities and design requirements for injection molding. Plastic prototypes are built using either an additive process (most common) or a subtractive process. An additive process, like 3D printing, creates the prototype by stacking up thin layers of plastic to create the final product. Additive processes are by far the most common because of their ability to create just about anything you can imagine. 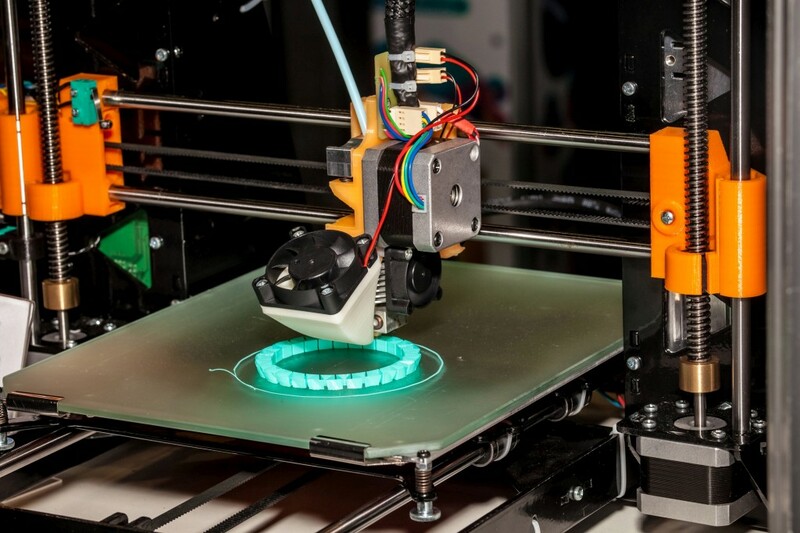 Figure 14: Low-cost 3D printers have revolutionized new product prototyping. A subtractive process, like CNC machining, instead takes a block of solid production plastic and carves out the final product. The advantage of subtractive processes is that you get to use a plastic resin that exactly matches the final production plastic you’ll use. This is important for some products, however for most products this isn’t essential. With additive processes, a special prototyping resin is used, and it may have a different feel than the production plastic. Resins used in additive processes have improved significantly but they still don’t match the production plastics used in injection molding. I mentioned this already, but it deserves to be highlighted again. Be warned that prototyping processes (additive and subtractive) are completely different than the technology used for production (injection molding). You must avoid creating prototypes (especially with additive prototyping) that are impossible to manufacture. In the beginning you don’t necessarily need to make the prototype follow all of the rules for injection molding, but you need to keep them in mind so your design can be more easily transitioned to injection molding. Numerous companies can take your 3D model and turn it into a physical prototype. Proto Labs is the company I personally recommend. They offer both additive and subtractive prototyping, as well as low-volume injection molding. You may also consider purchasing your own 3D printer, especially if you think you will need several iterations to get your product right. 3D printers can be purchased now for only a few hundred dollars allowing you to create as many prototype versions as desired. The real advantage of having your own 3D printer is it allows you to iterate your prototype almost immediately, thus reducing your time to market. Now it’s time to evaluate the enclosure prototypes and change the 3D model as necessary. It will almost always take several prototype iterations to get the enclosure design just right. Although 3D computer models allow you to visualize the enclosure, nothing compares to holding a real prototype in your hand. There will almost certainly be both functional and cosmetic changes you’ll want to make once you have your first real prototype. Plan on needing multiple prototype versions to get everything right. Developing the plastic for your new product isn’t necessarily easy or cheap, especially if aesthetics is critical for your product. However, the real complications and costs arise when you transition from the prototype stage to full production. Although the electronics are probably the most complex and expensive part of your product to develop, the plastic will be the most expensive to manufacture. Setting up production of your plastic parts using injection molding is extremely expensive. Most plastic products sold today are made using a really old manufacturing technique called injection molding. It’s very important for you to have an understanding of this process. You start with a steel mold, which is two pieces of steel held together using high pressure. The mold has a carved cavity in the shape of the desired product. Then, hot molten plastic is injected into the mold. 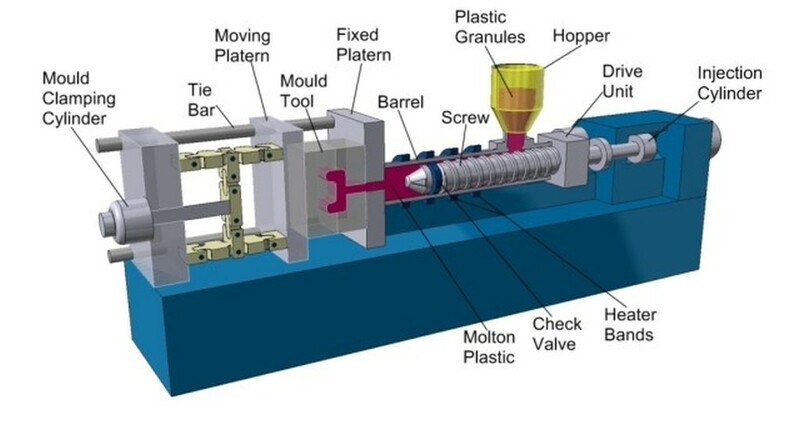 Figure 15: Injection molding machine. Image supplied courtesy of Rutland Plastics. Injection molding technology has one big advantage – it’s a cheap way to make millions of the same plastic pieces. Current injection molding technology uses a giant screw to force plastic into a mold at high pressure, a process invented in 1946. Compared to 3D printing, injection molding is ancient! Injection molds are extremely efficient at making lots of the same thing at a really low cost per unit. But the molds themselves are shockingly expensive. A mold designed for making millions of a product can reach $100k! This high cost is mostly because the plastic is injected at such high pressure, which is extremely tough on a mold. To withstand these conditions molds are made using hard metals. The more injections required, the harder the metal required, and the higher the cost. For example, you can use aluminum molds to make several thousand units. Aluminum is soft so it degrades very quickly. However, because it’s softer it’s also easier to make into a mold, so the cost is lower – only $1-2k for a simple mold. As the intended volume for the mold increases so does the required metal hardness and thus the cost. The lead time to produce a mold also increases with hard metals like steel. It takes the mold maker much longer to carve out (called machining) a steel mold, than a softer aluminum one. You can eventually increase your production speed by using multiple cavity molds. They allow you to produce multiple copies of your part with a single injection of plastic. But don’t jump into multiple cavity molds until you have worked through any modifications to your initial molds. It is wise to run at least several thousand units before upgrading to multiple cavity molds. This article has given you a basic overview of the process of developing a new electronic hardware product, regardless of your technical level. This process includes selecting the best development strategy, and developing the electronics and enclosure for your product. There is much for you to learn in order to develop a new product. I try to cover all these topics in my articles and tutorials on the Predictable Designs blog. My goal is to help you fully understand how to develop your product in a more predictable fashion. Have any questions? If so, please contact us. I really enjoy helping entrepreneurs, startups, makers, inventors, and small businesses wanting to bring a new electronic hardware product to market. Also, if you found this guide helpful please share it. Just wanted to drop a quick thank you for your content. It’s a good read every time, and refreshingly honest. For a startup, it’s a great sanity check to see how things usually progress and to be able to compare where we are with respect to it. It’s also good to see where we may need help, and how. Your honesty makes me want to reach out to you, hands down, when/if I may need your expertise: I know that you’ll tell it to me as it is, just the way I’d like it. Thank you Talar! I’m here to help you whenever you need it. Wow, thank you so much for that Emerson! I’m really pleased that you are finding the Predictable Hardware Report I developed for your product to be so helpful! Let me know if you have any questions, and I’m here to help. Amazing article! 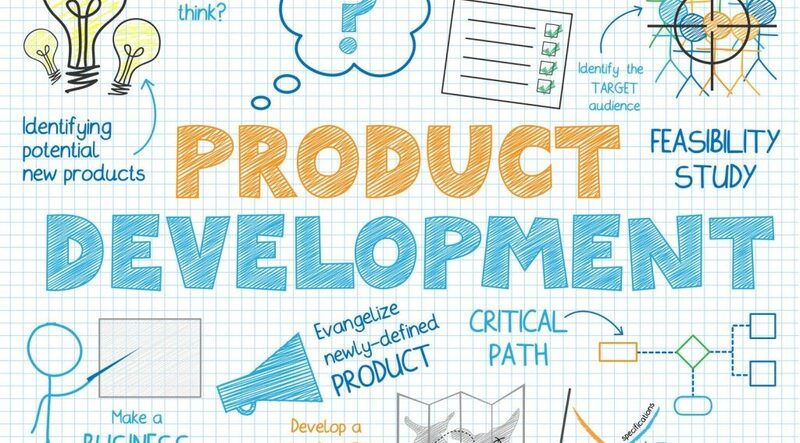 Interesting insights to the new product development cycle. I wrote an article on the design thinking for new product development. Do take a look if you find the time. Well… around all internet this page is the best. Its the only one that have a really useful information about how to create a a new design. Sounds like you sorta handed over the project to some engineers, and then waited to hear back from them. You could have had deadlines, at least. – I pay them by the hour, to meet with me for 2 to 3 hours. This is a solid block of time. We work on the engineering together. I pitch my ideas and questions, they critique and offer solutions. They’re all all mine for those 2-3 hours. No distractions. We do this by phone and remote-desktop sharing. Worth every penny. Thanks for the comment John! I most definitely did not “sorta hand over the project”. Just the opposite and I was so active I was doing most of the debug and coming up with all of fixes and all they did was make the changes to the 3D model. What strategy is best really depends on your existing skills, your ability to quickly learn new skills, and how much money you have to spend. That is really interesting that the prototype printed circuit board will allow you to output the layout. Something that I am thinking about getting into is the circuit board production. That kind of stuff interests me and I would love to research more of how the layout works. This is very informative article. Covering issues pertaining to the entire development life-cycle. This post is very informative, thank you. I wonder if the product needs to apply for a patent, which stage of design process do you recommend to do it? I recommend delaying the full patent as long as possible. 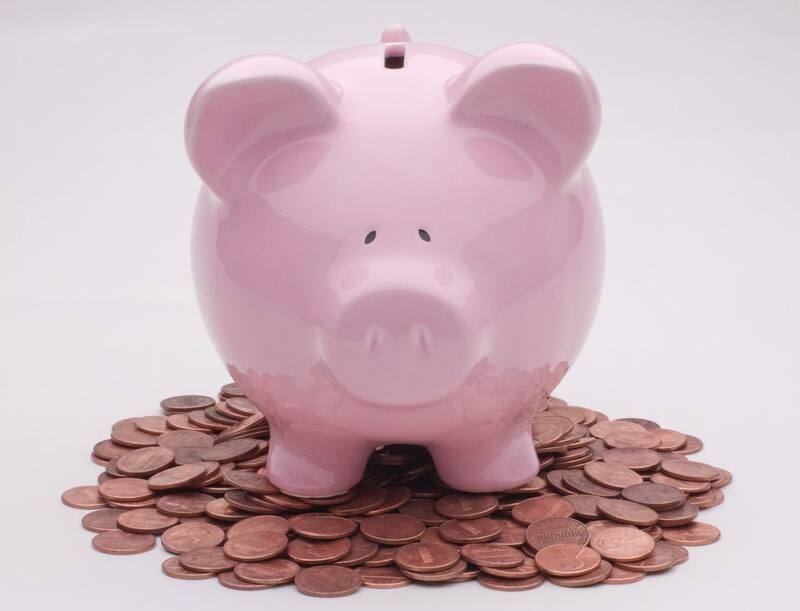 Instead start with a low-cost provisional patent which will give you one year of protection. After that one year then you can decide if it is worth getting a patent. 99% of patents never see the market, so focus more on the market than the patent. This is a topic I write about frequently so maybe scroll through some of my older posts. I have one post just about this topic titled “Should I keep my product a secret?”. Thanks for the reply ! I will check the old post. 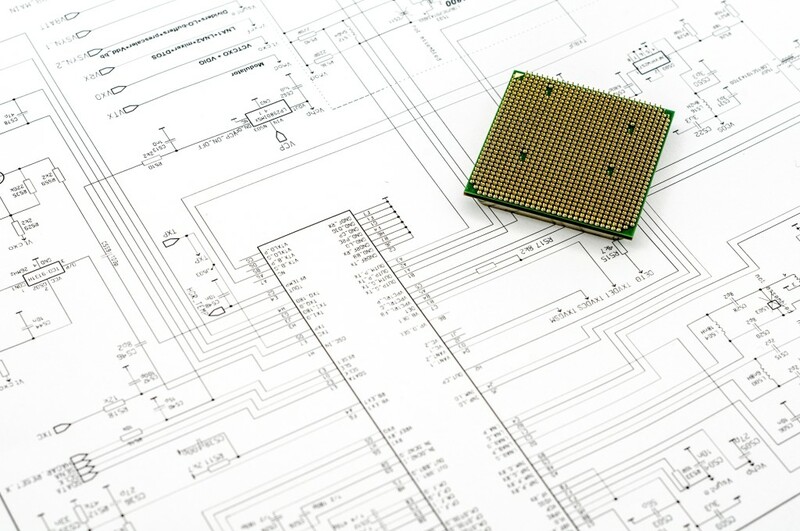 Where do you recommend an entrepreneur starts when it comes to schematic design. 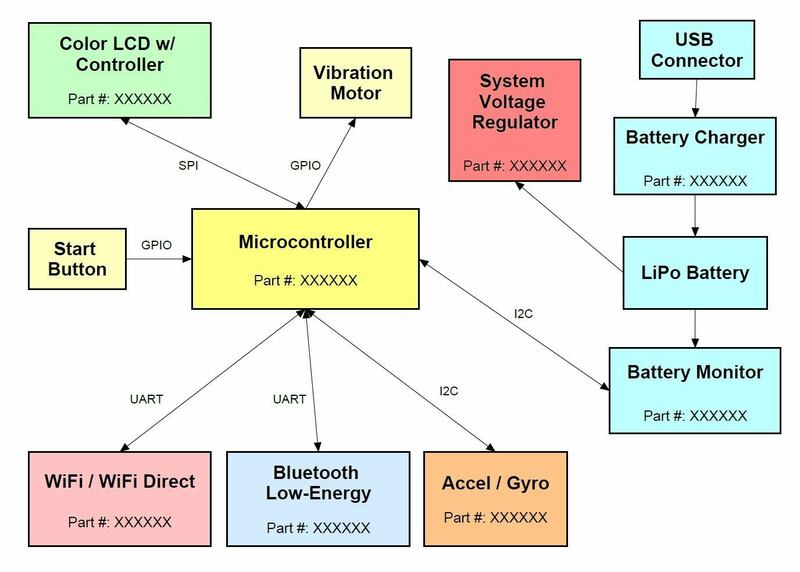 I have a general idea of what my PCB needs to have (MCU, wireless/Bluetooth, motion sensors, power regulation for Lithium batteries, etc. etc.) and I have found some chips on DigiKey etc. that seem like they fit my use case but even then I have no idea where I need resistors/capacitors or how to use SPI or I2C to have sensors interact with MCU’s. The datasheets for all the components I have found fly right over my head. Thanks again for putting out this amazing work for free!!!!! The whole internet owes you big time!!!! Thanks for your question and for your positive feedback! You have two options. Either you will need to learn a bunch more about electronics design or you will need to get some outside help. It will be impossible to design a commercially viable product without a solid understanding of all the details specified in the datasheets. 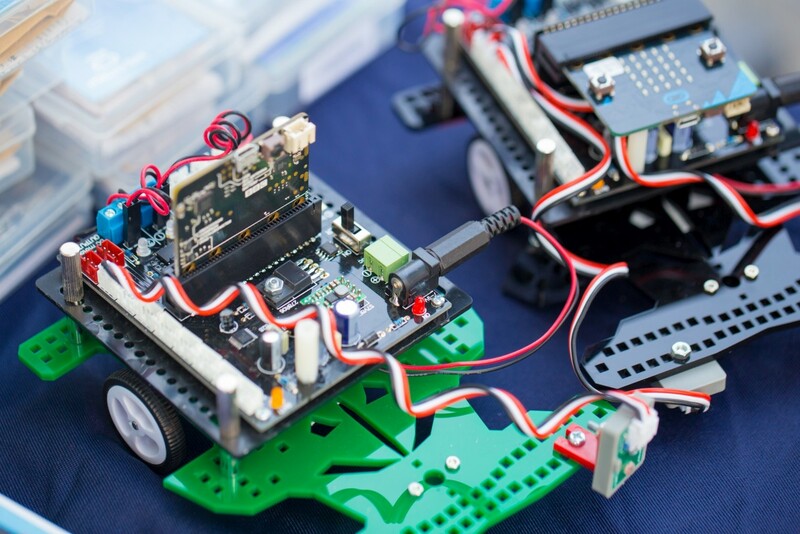 There are a ton of websites out there for learning electronics, but it will take considerable time for a beginner to learn everything needed to design a viable product. Keep in mind in takes engineers years of education and experience to get good at circuit design so don’t expect yourself to do it quickly. If you want to discuss this further feel free to email me directly at info@nullpredictabledesigns.com. Very well explained. Thanks for all the helpful content. Thanks for the revised and expanded version of the article. In fact the previous version of this article was the one after reading which I started following your blog and other articles. Good one. Informative. Thank you Sinoj, I appreciate that! Thanks for following. Thanks for sharing Chris! I’ll be sure to look at this option further. 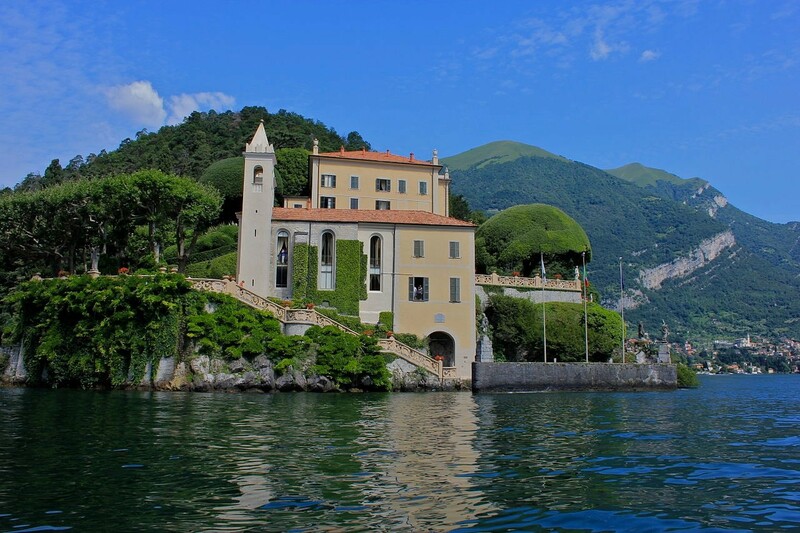 Your article is very very good for me, i will share it to my friends, good job. Great Work! 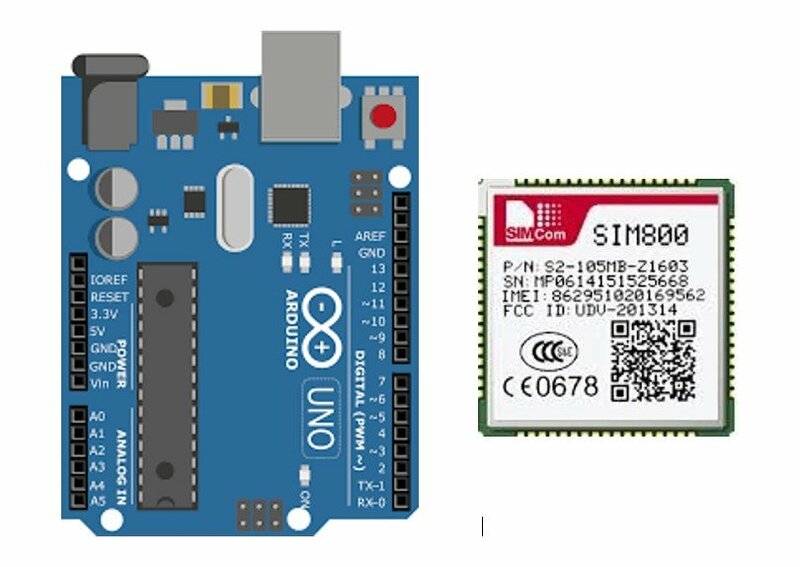 I learnt a lot from your work, I have an idea to develop low cost routers and access points for rural schools, based on Open source OS and cheap microcontrollers, how do I go about this, is there need to program the OS, how do I select the right MCU for compatability with the OS? How do i get started with PCB design? How to choose value of components (Example: How many resistors will requires and of what value?) How to evaluate such calculative thing? Does any software perform simulation for that purpose? Thanks for the question/comment. However, that’s too big of a question to answer in a comment. Software exists to simulate circuits, but not to help you make the basic design decisions like how many resistors are needed. You have to review the datasheet for each component. Hi John, I am working on our first electronic product and your blog is really a great help. Thank you very much for sharing the knowledge. Initially we are just planning to make only 200 pieces, so Injection molding doesn’t look economical for enclosures. We tried with 3D printing but the quality is not very good. Is there anyway we can get enclosures developed in such low quantity? You may want to still consider injection molding for 200 pieces. That is the only way you will ever get truly production-quality enclosures. You can purchase aluminum molds for about $1,500 each. You could also look at rubber molds, but I don’t have any experience with them. Thanks John! I will do a search about the rubber molds if they can suit to our needs. I was wondering how long the CE mark process normally takes for hardware? 1.) UL certification is not required for any product. It’s a very good idea, but not required. Google it. 2.) It is not even necessary to use UL. They are the most-recognized Nationally Recognized Testing Laboratory (NRTL), but they are far from the only game in town. There are cheaper options that are almost as well recognized by the public and whom can perform the same function as UL, often cheaper. Companies such as MET and NSF have marks that people recognize and I have heard they are about half the cost. I decided to skip NRTL testing on the first few orders of my product, and save up enough through orders to pay for it later. It is perfectly legal to do so, but I risk greater damages if there is a lawsuit, and certain large buyers (such as schools) would pass me up because they demand NRTL certification when buying. I took a lot of precautions in the design and I’m not targeting large buyers initially, so it is a risk I am willing to take. I think my increased focus on safety would be taken into account in a lawsuit anyway. The power adapter I chose is an off the shelf product and is UL certified, and since that is the point most likely to cause a fire I am comfortable with my choices. But you can bet that NRTL certification will happen quickly. I’ll probably go with MET. Don’t want a lawsuit squishing my new business. Thanks for your helpful comment. You are correct there is no government law that requires UL testing for any product. That being said because of liability risk I’ve always considered it as something that you must have if your product connects into an AC outlet. So saying it is required is technically not correct, although highly, highly recommended. I’ll definitely look further into the MET and NSF options as a lower cost alternative to UL. This is a treasure of a information that i needed. Much appreciated. Thank you so much for the positive comment! Let me know if I can ever be of help. I do now offer low-cost consulting plans if you ever need another engineer to help out. 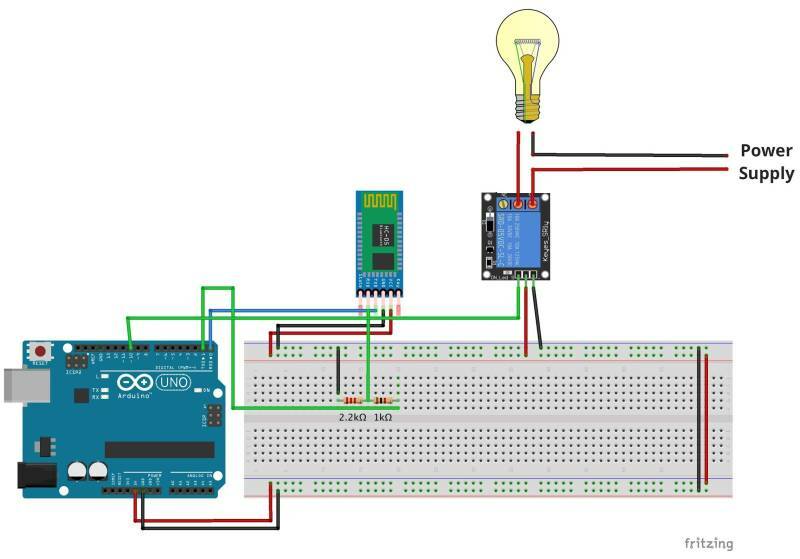 i am a beginner and am stuck with what connectors do i use for final design of my project. Project is designed for 3d printer and we are mostly using stepper motors , drivers, sensors and switches. Love the article and all the helpful information. I am an aspiring entrepreneur and have a new product idea for a medical electronic device. However, I am no engineer. Thanks for the positive comment! I suggest you begin by downloading my free cheat sheet 15 Steps to Develop Your New Electronic Hardware Product. You’ll also get a free email course where I go in-depth into each of these 15 steps. This should help break down the process for you into more manageable steps. Always feel free to ask me any questions by either commenting on a post, or emailing me directly. I found this blog via your Quora posting. Thanks for writing up your experience. Wonder if you possibly share any experience for rugged design, either housing (IP69k) or cooling for internal heat transfer, vibration, electromagnetic, etc. I see most of the knowledge is considered as confidential information of companies and very difficult to find document or books on rugged design in fundamental way to develop knowledge gradually throughout applying the knowledge in real-world tries. Really a problem for hobbyists want to turn their prototypes into real-world products. Great guide! Thank you for the valuable information. 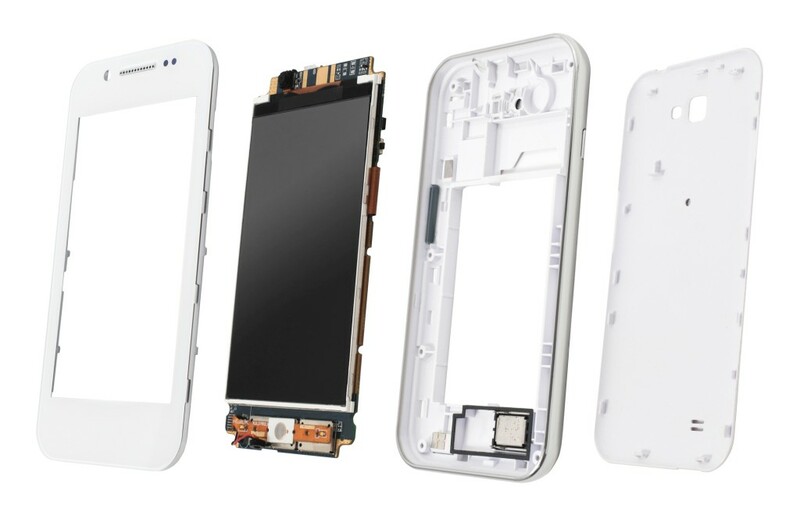 After the mass manufacturing of plastic casing and the PCB, what about the assembly process? Do you have any knowledge in that to share? Thanks for the comment Jack! I’ll be sure to add some info to it soon about final product assembly. Final assembly is normally a very labor intensive step so labor costs primarily determine the assembly cost. So most products eventually we’ll be assembled in a country with low wages such as China. Assembly fixtures are usually required to hold the various parts to ease assembly. However, I wasn’t able to access premium content even after sharing the email address. Can you pls help? Thanks for the comment. I apologize for the issue you mention. It appears as if the problem shows up only for certain browsers, and normally I only test with Google Chrome. I’ve got people working to resolve this issue. In the mean time you can also simply download the PDF version of the article (see the link in the yellow box at the top of the article). My apologies for any inconvenience. We’ve determined the issue is caused when using older versions of some browsers. This mainly seems to happen with older versions of Firefox. I suggest upgrading your browser then trying again. Great article! When it comes to electronic hardware products, I usually don’t have a clue. However my partner and I recently moved house and I needed to up my game. I even helped to rewire the house and used a cable stripper! Thanks for the comment Evie! Kindly provide your email to get in touch with you. We have been working on high speed designs like PCIe GEn3/gen4, 10G, GTx, etc. We are FPGA based system design house , leading one in India. You can contact me at info@nullPredictableDesigns.com. I provided my e-mail and I can still not read the rest of the article? Sorry about that and I’ve not seen this issue before. Are you trying to view the article on the same device you used to enter your email address? When you enter your email address a cookie is stored on that device which allows you to view the full article. Nonetheless, I’ll email you a special URL link that will allow you to view the full article. Very thankful for the wonderful post. I am into an Industrial hardware product business from recent years. Now I have started my online store on the web. Got some valuable point from you detailed post which will help a lot o make my business successful. Best wishes with your new business! 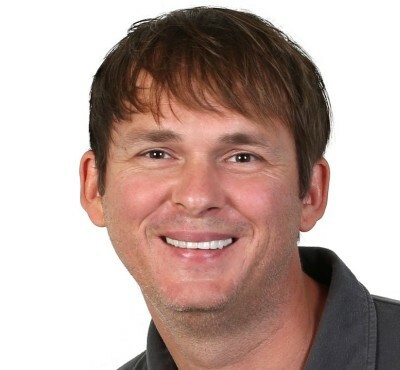 Hey John….you have done an amazing job by sharing this blog with everyone. I have never expected that someone can explain about the hardware so well. Very impressive. This blog is so helpful for me to understand the things. Great Job! Really amazing job. I am surprised to see how nicely you provided details of each step. I am going to share it on my Google plus as my friends like to read about hardware. Good job.. Thanks for the positive feedback and for sharing! I really appreciate that. Let me know if I can ever help you out. Yes, I have. I also received your email. I love helping out young students like yourself. To answer your question about how voice activation works. Sound is a vibration of air. A microphone converts this air vibration into an electrical signal. This electrical signal represents the sound wave. A specialized microchip then converts this analog waveform into a digital representation (via something called analog-to-digital converters). This is done because the “real” world is analog, but computers are digital. Usually this same microchip also has a Digital Signal Processor (DSP) which is basically a specialized computer chip optimized to process signals. This DSP can then determine what was spoken by analyzing the signal waveform. Okay, I hope this helps! I find your post really interesting, and I want to make a contribution related with component selection and obsolescence. When selecting a component (Part 2, first paragraph), I also consider very important to analize the component status into its lifecycle and check if the candidate has alternative parts (identical or very similar) to reduce the risk of stop product manufacturing due to component unavailability. Of course, this can entail to spend more time at product design and validation stages, but it is very likely that you are solving future problems. Thanks for the comment Inigo! Excellent point and one I’ll be sure to add to the article (this article is always a continuing work in progress). Thanks again for the insightful feedback! Thanks for a very good and detailed post! I am an Industrial Designer and I work with a hardware startup in Brazil at the moment. I can really recommend the Autodesk Fusion 360 software for the 3D modeling. It´s free for startups and it´s all in the cloud. Worth checking out. Hey thanks for the positive comment Peter! Also thanks for the recommendation on Fusion 360 and I didn’t it was free for startups. I just checked it out and I’m impressed with it and love the fact that its free for students, hobbyists, and startups! I’ll be adding a link to Fusion in this article shortly. Can I traslate this post to korean? I want to share this post with south korean. Absolutely Junhyuk, just please be sure to include a link back to the original article on my website.